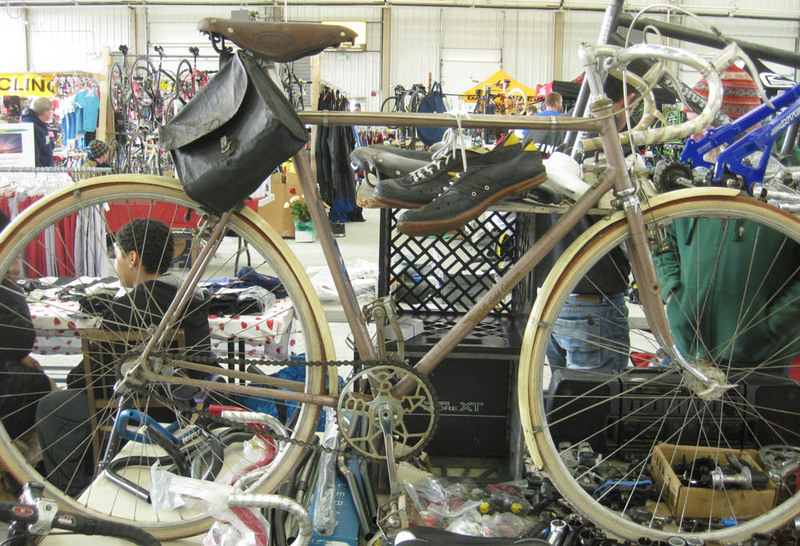 Late 1940s BSA Gold Column that I looked at a recent bicycle swap meet. 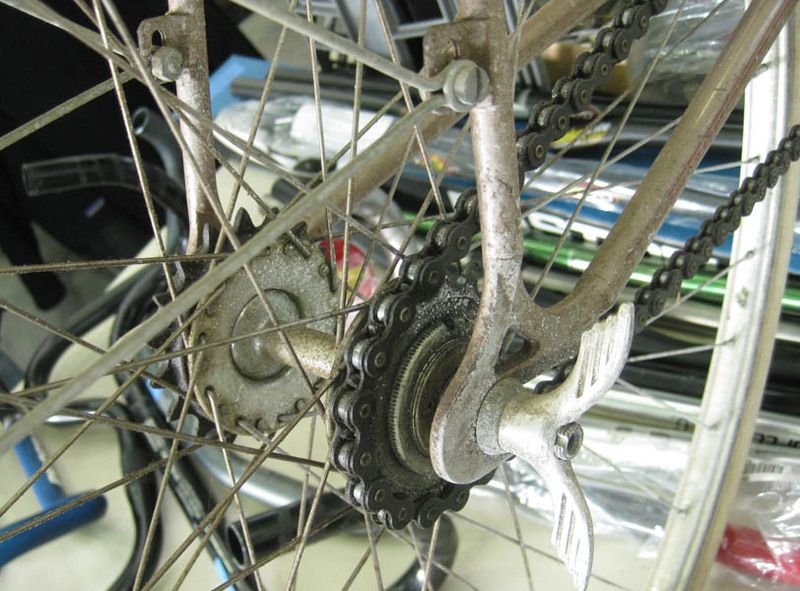 I did not purchase it, as the price of the bicycle was not fixed, and as the day went along, the price went up, and then was told the bike was sold, but if I wanted to pay $20 more than the price that it sold for, it could be mine. I don’t condone that type of selling. 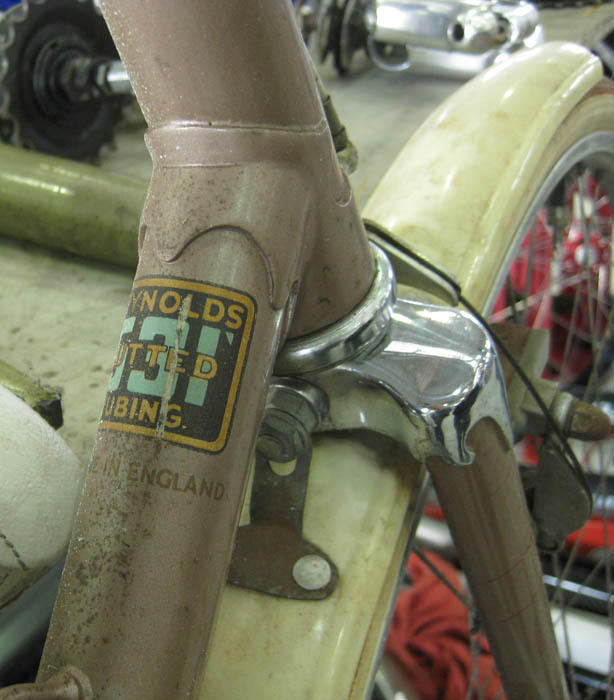 It was a very unique bicycle, in original condition, an outstanding example of post war British bicycle. 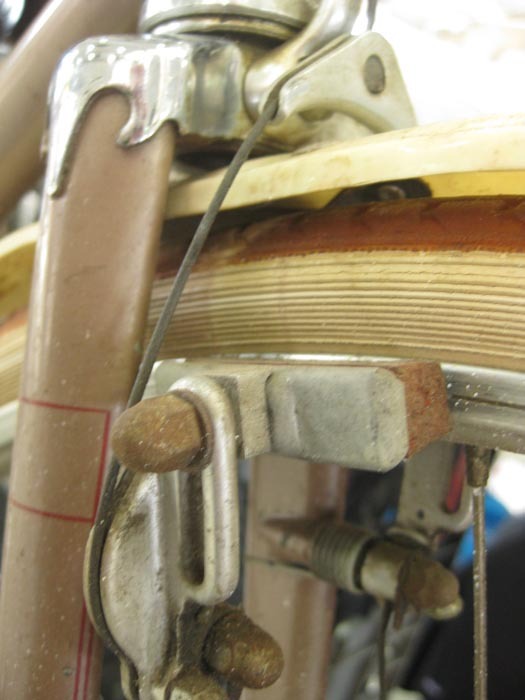 The brakes are quite rare, and i have never seen the decals on the Dunlop Special Lightweight rims, but imagine that the decals didn’t last long. 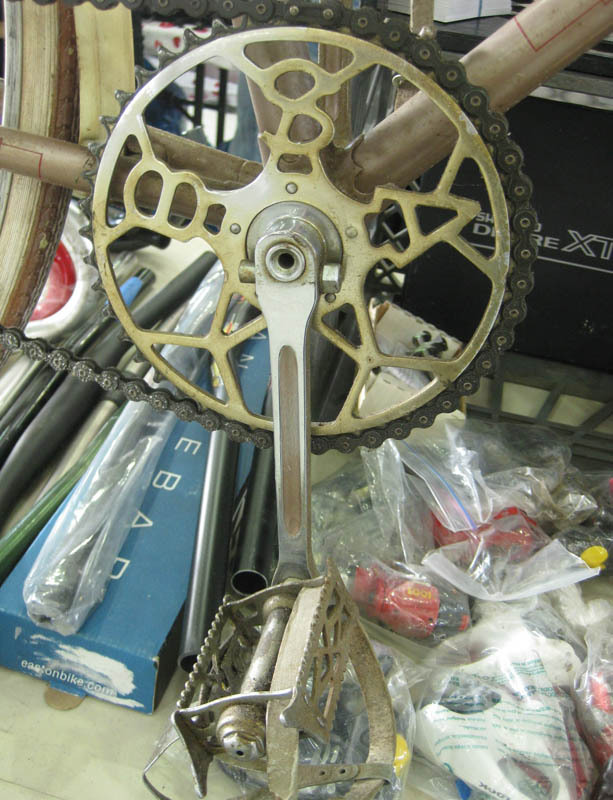 I also picked up an issue of Cycling magazine that had information about this little known model (I have not yet photographed it). 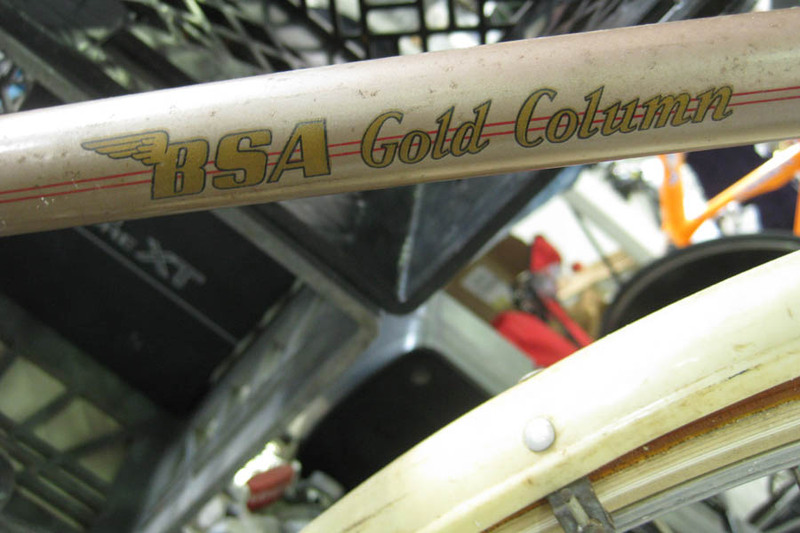 BSA had many models of bicycle that started with ‘Gold’- such as- Opperman Gold Special, Triple Gold Star, Gold Shield, Gold Crest, Gold Band, and Gold Vase, and that is just from the 1938 BSA Gold Catalogue. That's all well and good, but how much for the Bata Bikers? And what size were they? 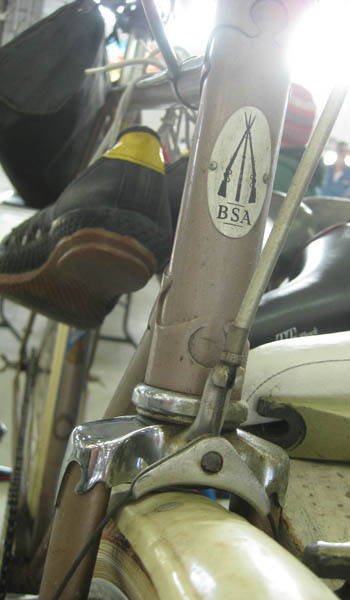 I now have the same BSA model and am just completeing the restoration. 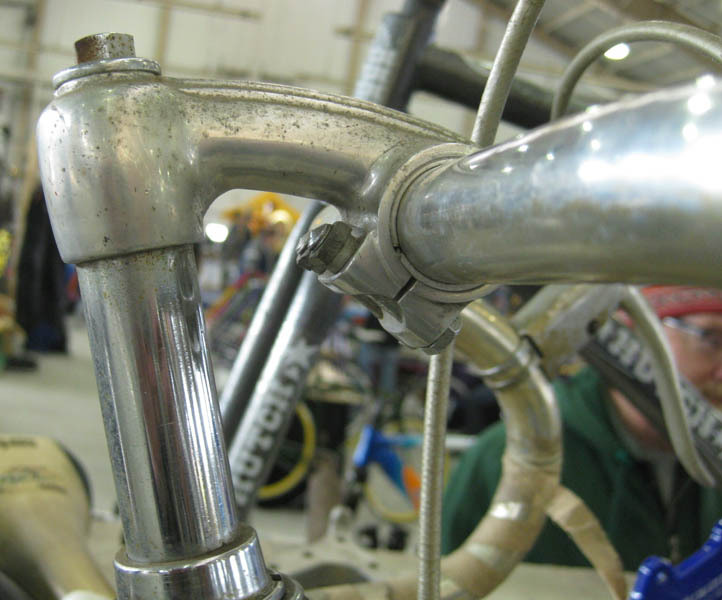 I am missing the bar stem and the alloy wingnuts. 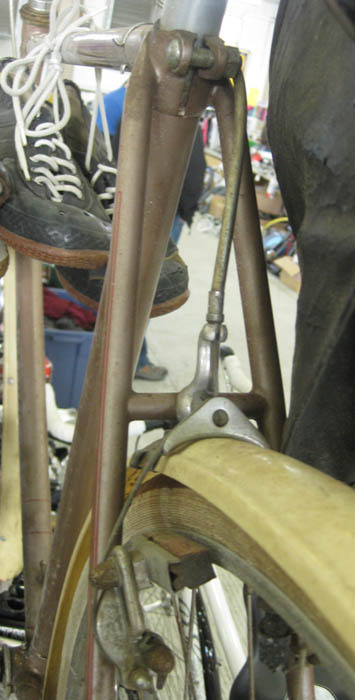 If anyone has any information as to either a source of a stem or a set of photo's from which I may be able to machine one I'd love to hear from you.